Bloomington, Ind. 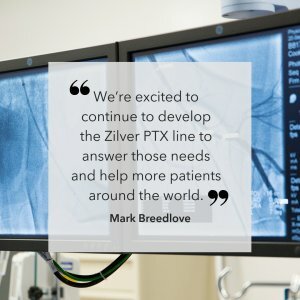 – Cook Medical announced that a new 5 mm diameter version of Zilver® PTX® was approved by the FDA. It is the first 5 mm drug eluting stent in the U.S. with lengths available up to 140 mm that is indicated to treat vessels as small as 4mm in diameter. The range of Zilver PTX stent diameters now available will address treatment of vessel sizes from 4–7 mm in diameter. The new diameter is better sized for smaller anatomy than previous sizes of the stent and provides an additional option to treat patients with lesions in their superficial femoral arteries (SFAs).